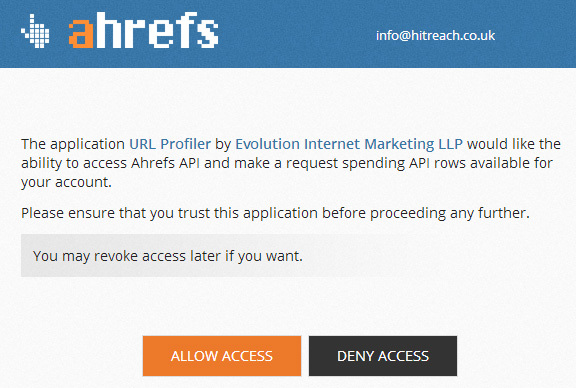 This means that either your Ahrefs subscription has expired or you have entered your Ahrefs token incorrectly. 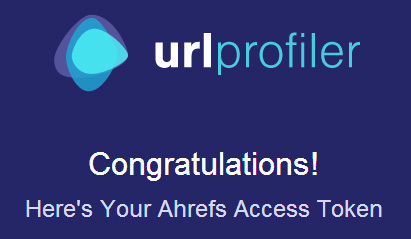 The most common error we see is that people assume the API key listed on https://ahrefs.com/api/profile is the one they need for URL Profiler. Just to clarify, the API key on the page shown below is NOT the one you need. 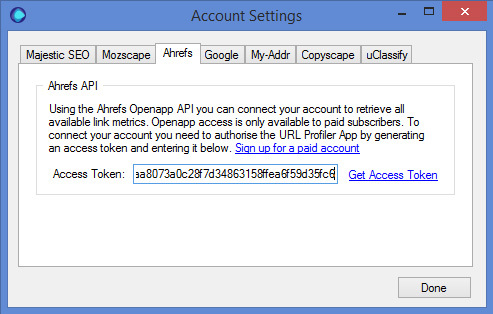 Instead, you need to get OpenApp Authorisation to use the Ahrefs API data via URL Profiler.